The Wellington region is home to thousands of charities with volunteers putting in copious amounts of time and energy to ensure those most in need are taken care of. Stuff wanted to shine a light on those behind the scenes. 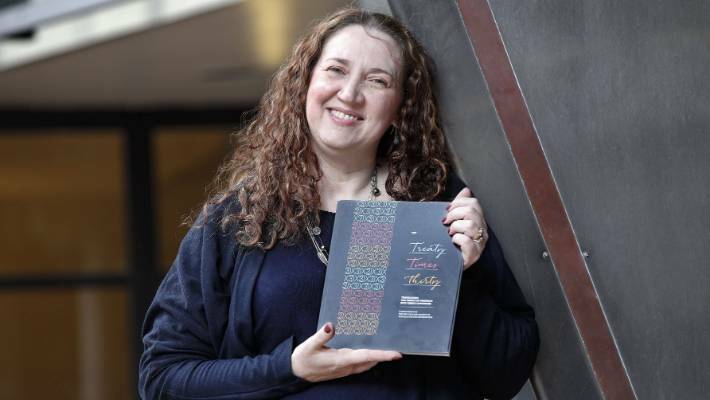 In early 2017, a group of more than 100 volunteers, working under the umbrella of the New Zealand Society of Translators and Interpreters, took on the ambitious task of translating the Treaty of Waitangi into 30 languages. For most, including Cecilia Titulaer, it was a labour of love born out of a passion for languages alongside a desire to celebrate an important milestone in the society’s history in a fittingly linguistic way. MONIQUE FORD/STUFFTreaty Times 30 involved collaboration of 160 volunteer translators publishing the translations in a book gifted freely to New Zealanders. Despite the translation process not being the easiest, Titulaer, who arrived in New Zealand 20 years ago from Argentina, was delighted to have been able to contribute her time to such a project and she encouraged others to give volunteer work a go too. At the New Zealand Society of Translators and Interpreters (NZSTI) Wellington Branch AGM in September 2015, our then-president told us that in 2016 NZSTI was turning 30 years of age. We all thought that it needed celebrating so we all suggested different things. As I had worked with migrants for many years and as a translator, I had it on my bucket list to translate the Treaty of Waitangi (for myself mainly). So, I suggested that we translate the Treaty into our languages which eventually [grew] to 30 languages for the 30th anniversary. There was a call for volunteer translators to put forward their best translation of the English version and the English translation of the Māori version. What’s your favourite part of your volunteer role? Giving back to New Zealand as much as I can [because] 20 years ago I was welcomed with open arms and given the opportunity to have a wonderful life in Aotearoa. It gets you involved with your community, you meet people, you learn, and you help. In this case, also spreading the word of how important it is to hire a trained professional translator or interpreter. Being bilingual is not enough, you must have the right skills and training. MONIQUE FORD/STUFFWhen the NZ Society of Translators and Interpreters was calling for ideas to celebrate its 30th anniversary, Cecilia Titulaer suggested translating the Treaty of Waitangi into different languages. What’s the most interesting most memorable moment you had during the project? After months of hard work and sleepless nights, I remember sitting in my car after picking up the first box of books, grabbing one and crying. It was a dream come true. It was finally tangible. It was in my hands. [Also] of course, having had the privilege of having the book launch at Government House and presenting it to Governor General Dame Patsy Reddy. We were also very humbled at the Wellington Airport Regional Community Awards in October 2017 when they presented us with a special honourable mention for the work we did. How would you best sell volunteer work to others? Just give it go. Anything. Find an interest of yours and look for people or groups with the same interest. I learned many new skills through all the volunteering I have done and met wonderful people along the way. 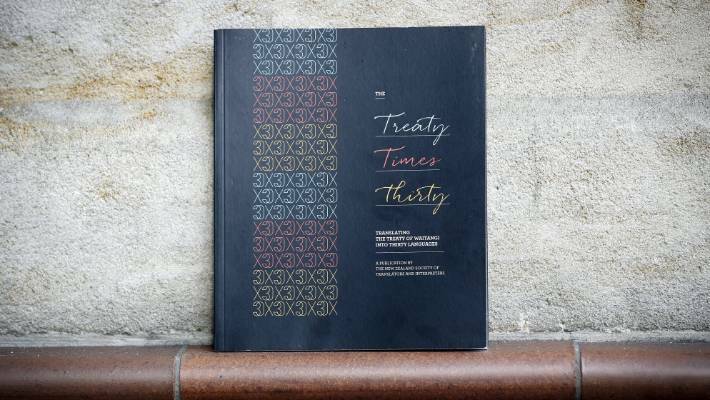 How have you seen your work help make the Treaty of Waitangi more accessible? The book was donated to public libraries as well as groups and organisations that work with migrants. We have received a lot of positive feedback from people from all walks of life and professions; from diplomats and school teachers to mums, government officials and more. It makes the New Zealand founding document, one of the most important pieces of history and law, accessible to countless migrants who are calling New Zealand their land now.